Bring your friends and family to visit the Lower Presidio Historic Park, located up the hill off of Pacific Street near Downtown Monterey. 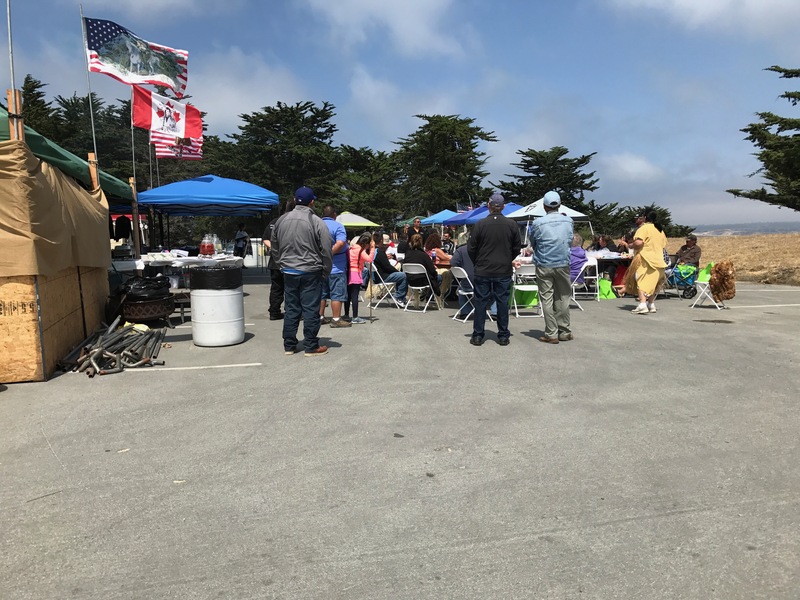 The Old Monterey Foundation and the City of Monterey recently added several new picnic tables, including one that is ADA accessible, at the Lower Presidio Historic Park. There are now a total of eight convenient picnic tables and five benches on site at this beautiful park. In 2017, Old Monterey Foundation raised funds to install a monument sign on Pacific Street to make it even easier to find the park. Old Monterey Foundation also installed eight new interpretive signs, a white wooden perimeter fence, and two new ADA (Americans with Disabilities Act) accessible pathways of the Harbor Trail which extends to the Serra Monument and the Vista Trail that goes up the hill to the Sloat Monument. The 25.3-acre Lower Presidio Historic Park also features a gorgeous view of the Monterey Bay and Old Fisherman’s Wharf. When you visit the park, please leave it as clean and pristine as you found it. Be sure to pack up and take all of your trash. 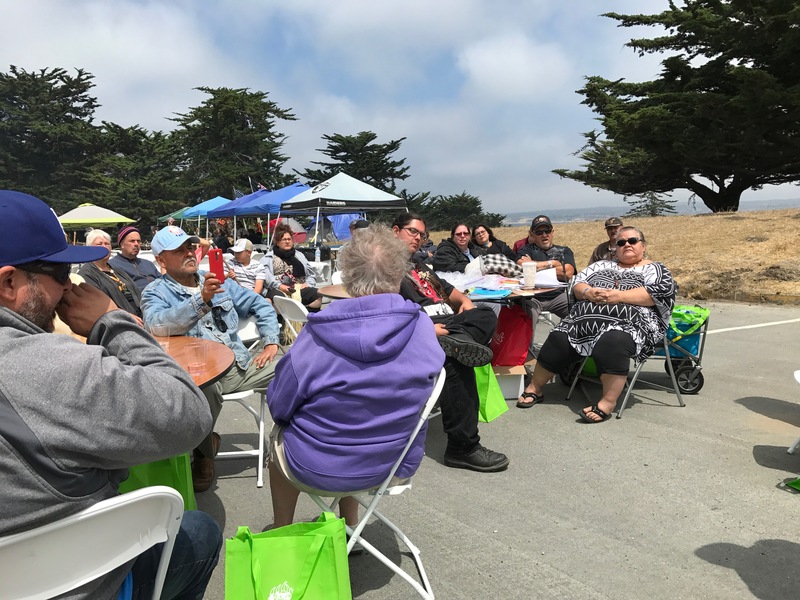 Also, check out the informative Old Monterey Foundation’s Lower Presidio Historic Park Walking Tours every third Saturday of the month from 10:00 am – Noon with respected local Historian Tim Thomas. The next tour will be held on Saturday, July 21st. 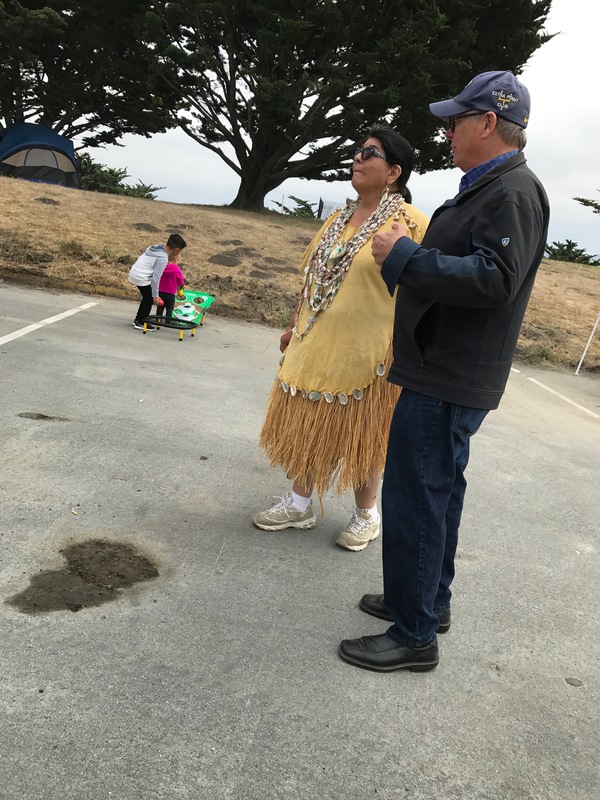 Old Monterey Foundation invites everyone to become a Friend of the Lower Presidio and make a tax-deductible donation to more quickly restore the park. The City of Monterey Outreach Office has produced an informative short video about the Lower Presidio Historic Park and its significance to California and American history. Nueva California: A Two-Part Novel of Latino California & The Carmel Mission by Todd Cook includes mentions of the Presidio of Monterey and the Lower Presidio Historic Park. Volume 1: Though young Diego is a performing “superstar” of the Mexico City stages, he has made enemies and must flee to distant Nueva California in 1775. Taking refuge at beautiful, but remote Mission San Carlos Borromeo del Rio Carmelo, Diego believes his time there will be brief. He teaches music at the mission and serves under his spiritual idol, Father Junipero Serra. Then, Diego meets Antonia, an Indian maiden with whom he becomes smitten. He takes his romantic pursuit too far, however. Fearing their indiscretion will be discovered, Diego devises a plan whereby he and Antonia can escape the mission. Volume 2: Diego’s attempt to spirit Antonia away from Nueva California ends in tragedy—Antonia is killed by enemy warriors in the Valley of the Oaks, not far from Mission San Antonio. Diego is arrested and brought back to the Bay of Monterey. After a brief time of imprisonment, Father Serra banishes the bitter and grief- stricken Diego from the territory. At first, Diego is relieved to be free of Nueva California, but a few years later, finds himself pulled back. He returns to the Bay of Monterey to seek redemption and live within sight of the mission he comes to love over the years: Mission San Carlos Borromeo. Diego will live to see the mission reach its peak, become secularized under Mexican rule, then finally become abandoned in the 1830’s. Diego will die within the mission ruins in 1857. The City of Monterey has posted a new video on the Lower Presidio Historic Park, featuring its celebrated history and recent improvements. More information about the Lower Presidio Historic Park. The Pacific Street off-ramp from Lighthouse Avenue will be closed from Wednesday, September 6th through Friday, October 6th. The full closure affects the Pacific Street exit from Lighthouse up to the pedestrian overhead bridge. Pedestrian access to the Lower Presidio Historic Park will be open, but ADA access may be limited at times during the construction. The work is part of Phase 4 of the citywide Measure P street reconstruction and ADA (Americans with Disabilities) improvements and includes new paving, enhanced street markings, ADA ramps and a crosswalk at Artillery. New sidewalks will be placed at this location and extend northward onto Lighthouse Avenue. The sidewalk work will be constructed at night with Lighthouse Avenue reduced to one lane during construction hours. Travelers coming into Monterey from this direction are advised to be aware of the construction zone and detour, and allow more time to reach your destinations. Please sign up for a weekly construction news email to receive the latest on this and other city construction projects. Also read the newly published Measure P second year report to see all the work completed to date.